Recognition: Student can recognize and identify parts of the body when shown pictures. Student could not recognize any body part when shown pictures. Student was unable to recognize 5 body parts when shown pictures without cuing provided by the teacher. Student could recognize 5 & above common body parts when shown pictures. Student could recognize most (if not all) body parts taken when shown pictures. 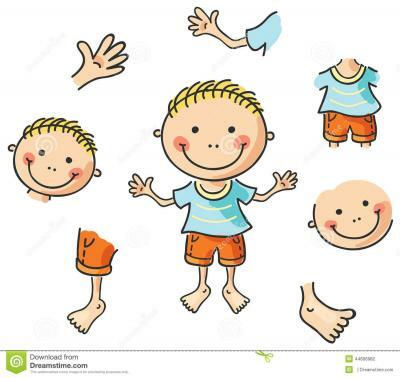 Explanation: Students can uses sentences to tell body parts functions Student could not give sentences for any body parts functions Student was unable to give sentences on 5 body parts functions when shown pictures without cuing provided by the teacher. Student could give sentences on 5 & above common body parts functions when shown pictures. Student could give sentences on most (if not all) of the body parts functions taken when shown pictures. Participation: Students level of participation and attentiveness during the course of the lesson (Read aloud and group activities) Student was not able to focus on lesson without constant guidance and redirection. Student required moderate support and supervision to focus on the lesson. Student was able to focus on lesson and perform group activities with minimal guidance. Student was able to focus on lesson and perform group activities without guidance.